(IN) VISIBLE COLLISIONS is a short film – or a photo-collage – based on Dancing Monkey’s workshop of WE MUST COLLIDE. This work is created to allow the production to have a life past the stage and into new mediums. WE MUST COLLIDE is a high energy, kinetic, interdisciplinary piece exploring the violence of stillness against the explosion of a touch into the control and strength of a developed impression. With modern technology literally pulling us apart, we must physically collide into each other to be noticed, felt and seen. Production info for WE MUST COLLIDE can be found here. Click here to see pictures from the WE MUST COLLIDE workshop process. Check out the first review of our new work WE MUST COLLIDE. “It was the whole compare and contrast element that really underscored my enjoyment of “We Must Collide”. Exploring the idea of collision and connection, love and desire, at the foot of an altar. 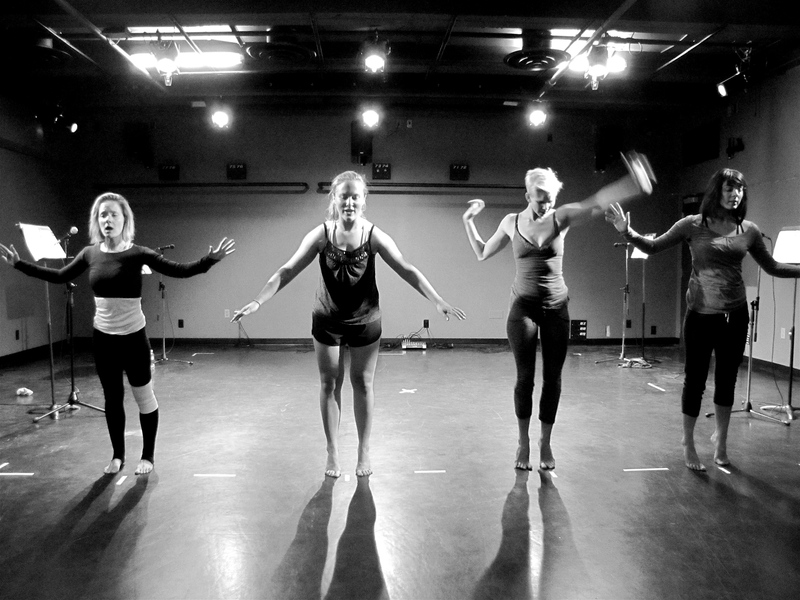 Dancing Monkey Laboratories continue the work with their “structural triangle” performing arts experience. That is: equal amounts of music, dance and text/narrative. It’s a compelling equation…and in this case sort of in-situ Sacred Geometry.” Kerrie Penney. 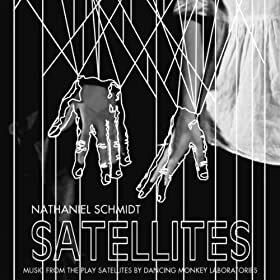 In anticipation of Dancing Monkey’s Fluid Festival performance of their new work WE MUST COLLIDE, The Dance Current, Canada’s dance magazine, featured ‘Satellites Captruerd’ on their home page.